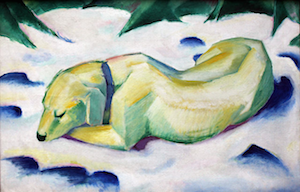 Nonfiction — The Hopper | Environmental Lit. Poetry. Art. This is the end of the affair; this is the beginning of me being mine again. Alone and afraid by the fire, cat-track crisp-edged in the mud by the water. I nursed those plants as if they were my newborns, watering the flowerbed regularly throughout the summer so the tender plugs wouldn’t wither in the hot sun. I envisioned gathering armfuls of indigo delphiniums and golden black-eyed Susans, arranging them in vases with Mexican hat coneflowers, sea thistles, and strap asters. I weeded and waited for two summers as the three-inch plugs grew into tall, full plants laden with blossoms. And then a porcupine ate nearly all of them. For myriad reasons, we’re probably hardwired to craft narratives. They’re a balm for our sorrows, a spark to our creative impulses, an expression of our identity, and a way to codify our most important values. Without them our lives would be bereft of enchantment, our imagination impoverished, and we would starve. The same carbon molecules that lodged themselves in the cell walls of prehistoric swamps, pressed and churned and chemically mutilated to become bituminous, or maybe anthracite, have been burned, released, and sunk into my own flesh and accounts for a significant portion of my own embodiment. It’s a common, yet chronic, disease. The symptoms are straightforward, but the cure, if there is one, isn’t. It goes like this: If you see something cool, the next time out—perhaps even years later—you expect to see it where you did that very first time. My grandma, the daughter of a west Texas rancher, corralled the scattered world with words: crow, barn, maple, whirlpool, starlings. I sleep just below the waterline, wedged in a bunk in the forecastle. I dream of fish. The slopes and nicks of Denver seem to change almost imperceptibly. A catfish joint goes out of business. A neighborhood-run gardening initiative is abandoned and overrun with weeds and empty beer cans. Rent goes up seventy-five dollars. Then another hundred. Then another. Blind Cat sleeps on a rust-colored cushion in a wicker chair in the sunroom. He's on his side, his straight orange back facing me, his face steeping in the sunshine that streams in through the windows. What Faustian bargain was made to set a river ablaze? How apocalyptic it must’ve seemed in the children’s eyes. But it didn’t often strike their parents this way. For most, this was the price of industry . . .
And I, small being caught in this woolly mess, retreated further into myself, until I was a speck within the body of a girl who was still somehow crouched in lightning position on a sleeping mat inside a flimsy tent at the bottom of Tin Cup Pass. In darkness, the audience rises, applauding the last performance of the evening. Before I can bang my hands together with wild abandon, I slide my guide dog’s leash back over my arm,into the crook of my elbow. My companion rises from his prone position and assumes a dignified sit, scanning from left to right. He recognizes the applause as a signal for our imminent departure. When I stepped into a commercial maple forest for the first time, I thought I had come into the wrong place. The maples were there—gray and leafless in their winter drab—but it was what stretched over the snow between them—the miles of black and blue plastic—that made me uneasy. It wasn’t their ugly straight lines or their artificial tautness that unsettled me. It was the idea of what they were replacing. Burning garbage is not illegal around here. I checked. It’s not illegal in most of the county, unless you live in a town where garbage removal is a munic­ipal service.
. . . sunberries. Mom finds them on the shelf, holds them out to me, tells me that in all her years she has never actually seen a seed packet of them for sale before. Of course I buy them. After this season’s encounters with bears on our land, I’m more aware than ever that I’m not always alone in the dark. No sign of a car yet, thank God. I’m trespassing, and I know just enough about the bad blood surrounding the sale to know that citing my lineage is not going to earn me any privileges. Especially given that I’m clotted with dirt from head to ankle, digging up a past that, by rights, does not belong to me.